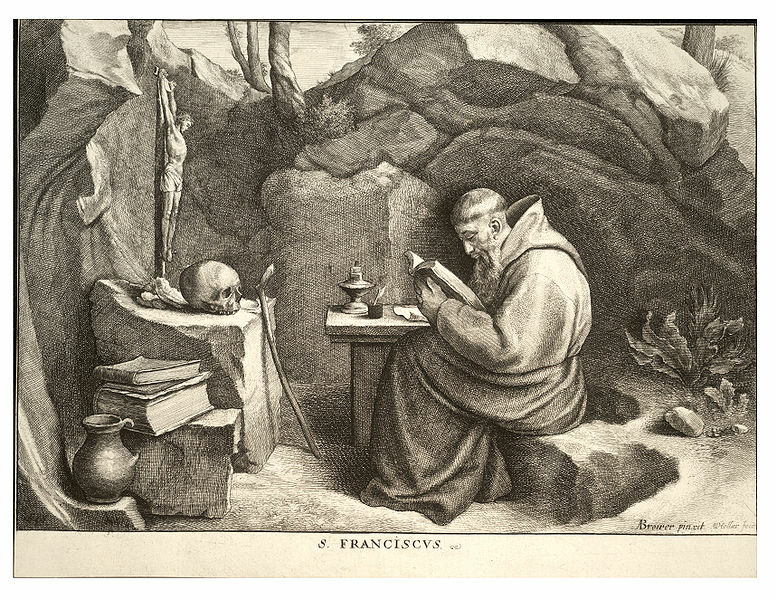 Founder of the Franciscan Order, born at Assisi in Umbria, in 1181 or 1182 — the exact year is uncertain; died there, 3 October, 1226. 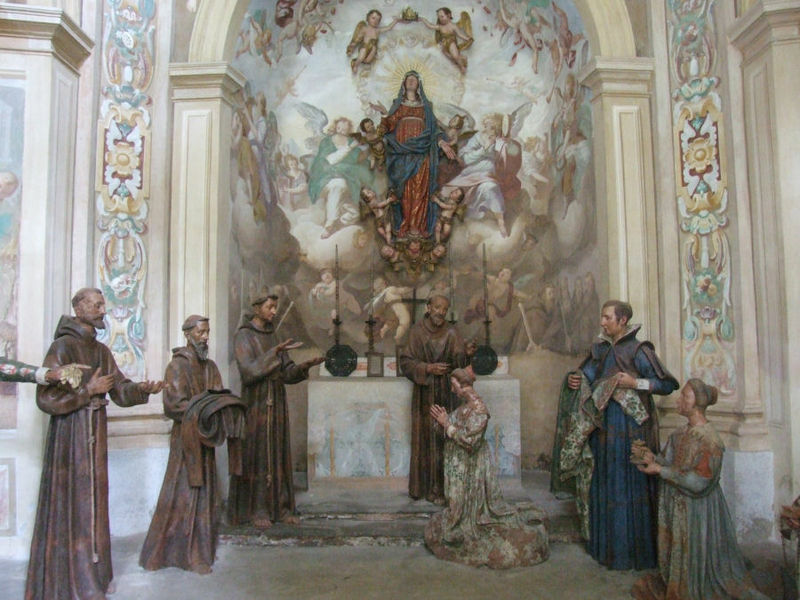 Francis received some elementary instruction from the priests of St. George’s at Assisi, though he learned more perhaps in the school of the Troubadours, who were just then making for refinement in Italy. However this may be, he was not very studious, and his literary education remained incomplete. 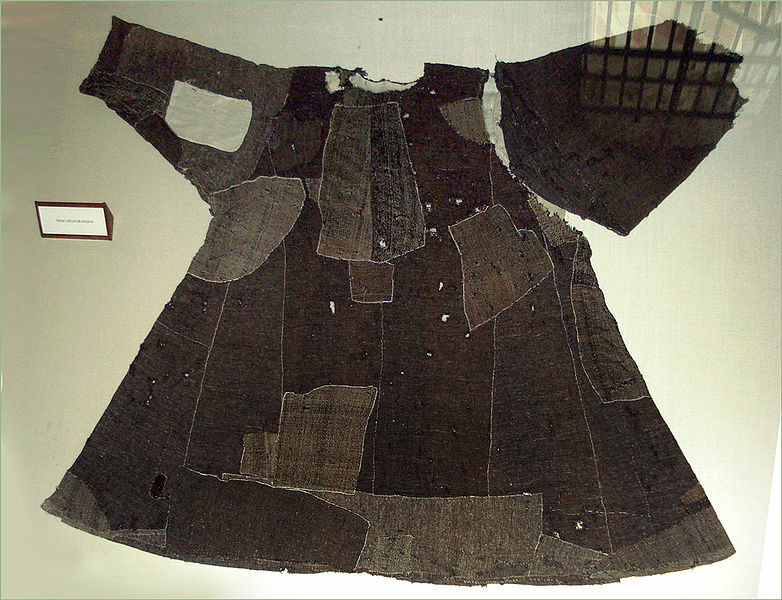 Although associated with his father in trade, he showed little liking for a merchant’s career, and his parents seemed to have indulged his every whim. Thomas of Celano, his first biographer, speaks in very severe terms of Francis’s youth. 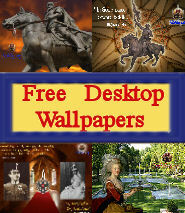 Certain it is that the saint’s early life gave no presage of the golden years that were to come. 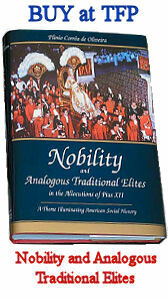 No one loved pleasure more than Francis; he had a ready wit, sang merrily, delighted in fine clothes and showy display. Handsome, gay, gallant, and courteous, he soon became the prime favorite among the young nobles of Assisi, the foremost in every feat of arms, the leader of the civil revels, the very king of frolic. 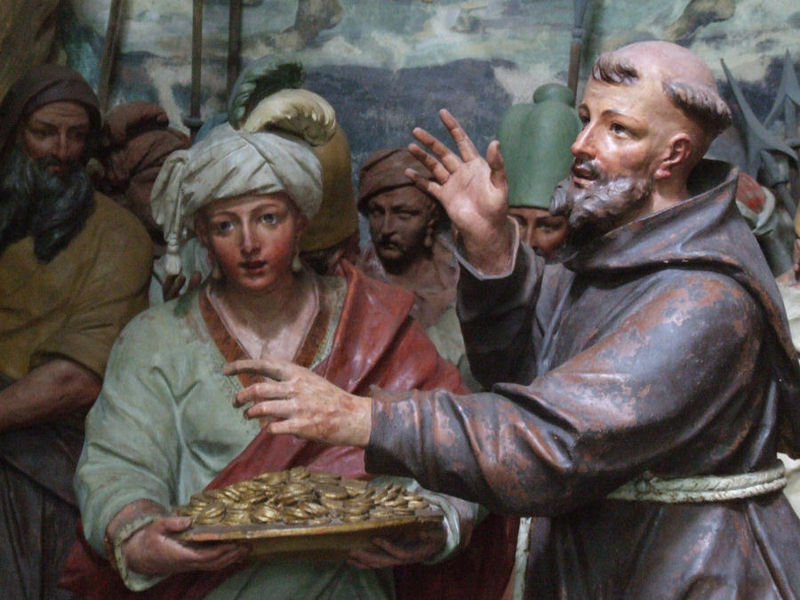 But even at this time Francis showed an instinctive sympathy with the poor, and though he spent money lavishly, it still flowed in such channels as to attest a princely magnanimity of spirit. 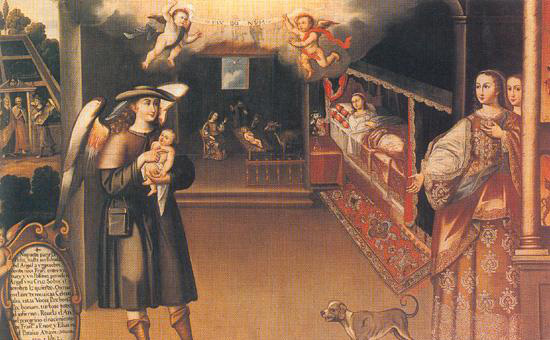 When about twenty, Francis went out with the townsmen to fight the Perugians in one of the petty skirmishes so frequent at that time between the rival cities. 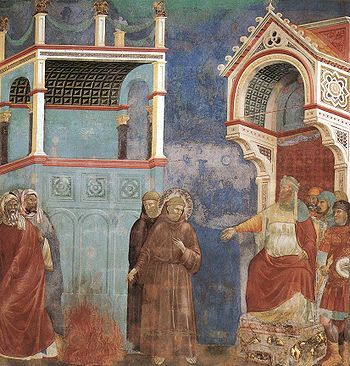 The Assisians were defeated on this occasion, and Francis, being among those taken prisoners, was held captive for more than a year in Perugia. A low fever which he there contracted appears to have turned his thoughts to the things of eternity; at least the emptiness of the life he had been leading came to him during that long illness. 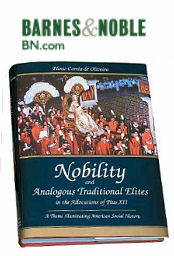 With returning health, however, Francis’s eagerness after glory reawakened and his fancy wandered in search of victories; at length he resolved to embrace a military career, and circumstances seemed to favor his aspirations. A knight of Assisi was about to join “the gentle count”, Walter of Brienne, who was then in arms in the Neapolitan States against the emperor, and Francis arranged to accompany him. His biographers tell us that the night before Francis set forth he had a strange dream, in which he saw a vast hall hung with armor all marked with the Cross. “These”, said a voice, “are for you and your soldiers.” “I know I shall be a great prince”, exclaimed Francis exultingly, as he started for Apulia. But a second illness arrested his course at Spoleto. 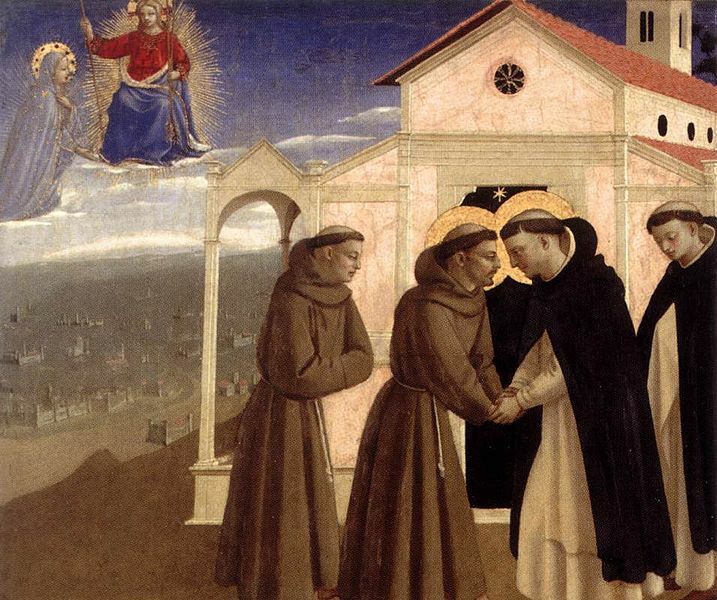 There, we are told, Francis had another dream in which the same voice bade him turn back to Assisi. He did so at once. This was in 1205. 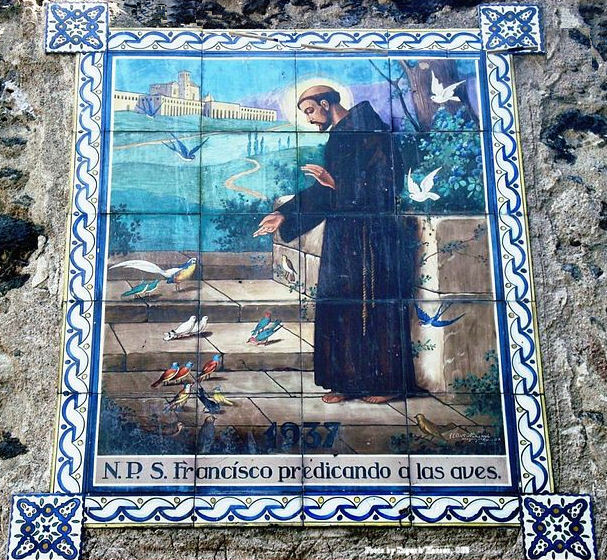 Although Francis still joined at times in the noisy revels of his former comrades, his changed demeanor plainly showed that his heart was no longer with them; a yearning for the life of the spirit had already possessed it. His companions twitted Francis on his absent-mindedness and asked if he were minded to be married. “Yes”, he replied, “I am about to take a wife of surpassing fairness.” She was no other than Lady Poverty whom Dante and Giotto have wedded to his name, and whom even now he had begun to love. After a short period of uncertainty he began to seek in prayer and solitude the answer to his call; he had already given up his gay attire and wasteful ways. One day, while crossing the Umbrian plain on horseback, Francis unexpectedly drew near a poor leper. The sudden appearance of this repulsive object filled him with disgust and he instinctively retreated, but presently controlling his natural aversion he dismounted, embraced the unfortunate man, and gave him all the money he had. About the same time Francis made a pilgrimage to Rome. Pained at the miserly offerings he saw at the tomb of St. Peter, he emptied his purse thereon. Then, as if to put his fastidious nature to the test, he exchanged clothes with a tattered mendicant and stood for the rest of the day fasting among the horde of beggars at the door of the basilica. 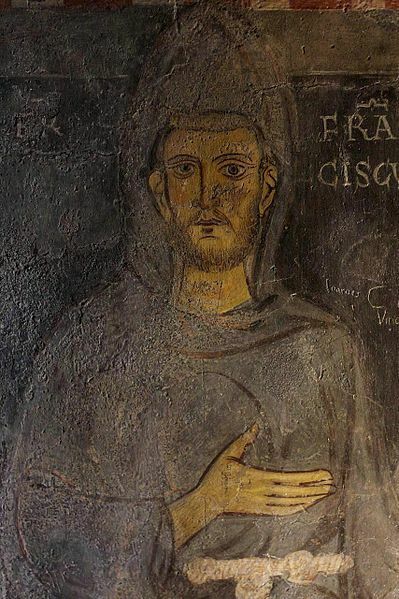 Not long after his return to Assisi, whilst Francis was praying before an ancient crucifix in the forsaken wayside chapel of St. Damian’s below the town, he heard a voice saying: “Go, Francis, and repair my house, which as you see is falling into ruin.” Taking this behest literally, as referring to the ruinous church wherein he knelt, Francis went to his father’s shop, impulsively bundled together a load of colored drapery, and mounting his horse hastened to Foligno, then a mart of some importance, and there sold both horse and stuff to procure the money needful for the restoration of St. Damian’s. When, however, the poor priest who officiated there refused to receive the gold thus gotten, Francis flung it from him disdainfully. 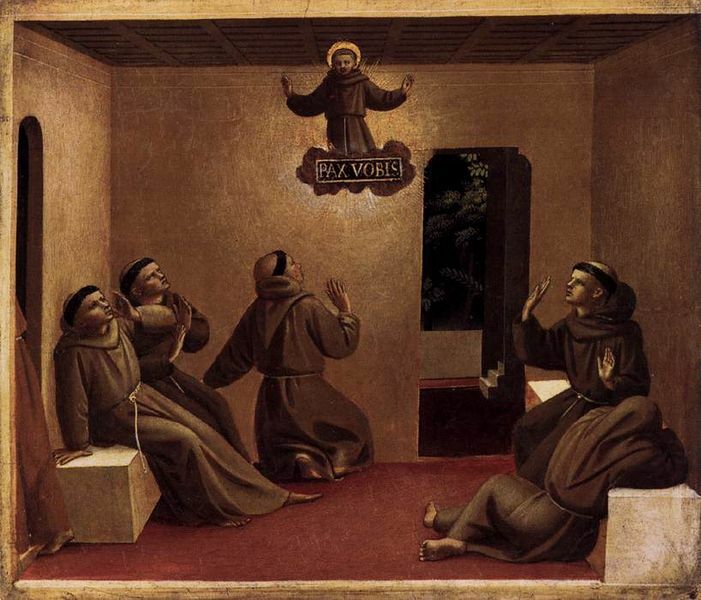 The elder Bernardone, a most niggardly man, was incensed beyond measure at his son’s conduct, and Francis, to avert his father’s wrath, hid himself in a cave near St. Damian’s for a whole month. 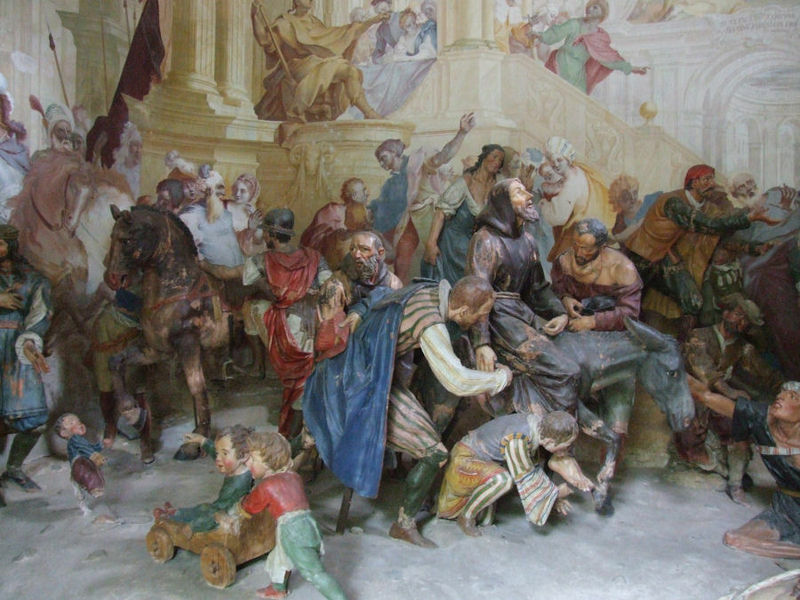 When he emerged from this place of concealment and returned to the town, emaciated with hunger and squalid with dirt, Francis was followed by a hooting rabble, pelted with mud and stones, and otherwise mocked as a madman. Finally, he was dragged home by his father, beaten, bound, and locked in a dark closet. 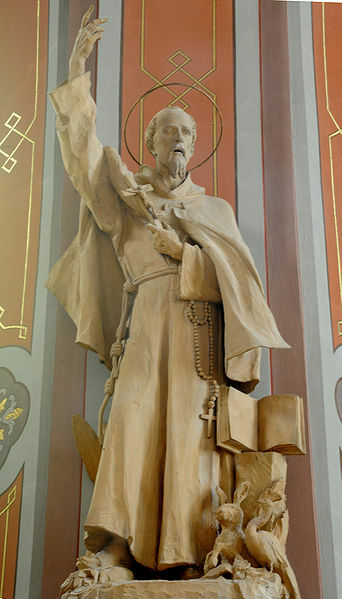 Freed by his mother during Bernardone’s absence, Francis returned at once to St. Damian’s, where he found a shelter with the officiating priest, but he was soon cited before the city consuls by his father. The latter, not content with having recovered the scattered gold from St. Damian’s, sought also to force his son to forego his inheritance. This Francis was only too eager to do; he declared, however, that since he had entered the service of God he was no longer under civil jurisdiction. 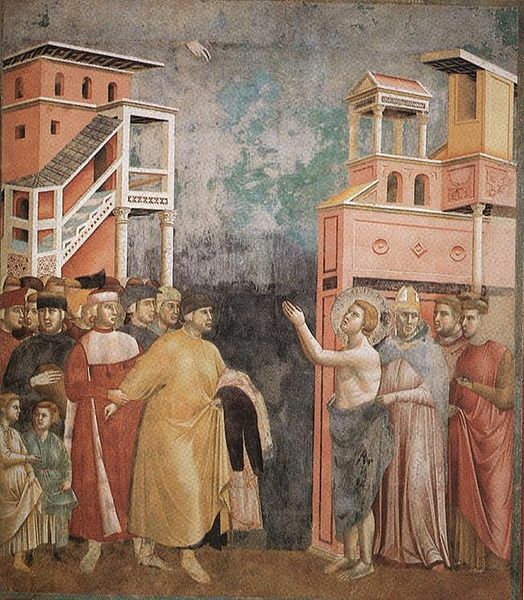 Having therefore been taken before the bishop, Francis stripped himself of the very clothes he wore, and gave them to his father, saying: “Hitherto I have called you my father on earth; henceforth I desire to say only ‘Our Father who art in Heaven.’” Then and there, as Dante sings, were solemnized Francis’s nuptials with his beloved spouse, the Lady Poverty, under which name, in the mystical language afterwards so familiar to him, he comprehended the total surrender of all worldly goods, honors, and privileges. 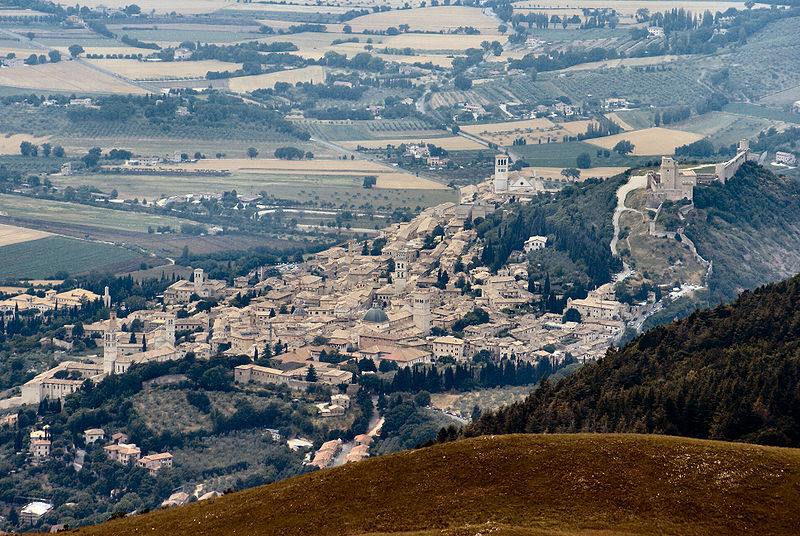 And now Francis wandered forth into the hills behind Assisi, improvising hymns of praise as he went. “I am the herald of the great King”, he declared in answer to some robbers, who thereupon despoiled him of all he had and threw him scornfully in a snow drift. 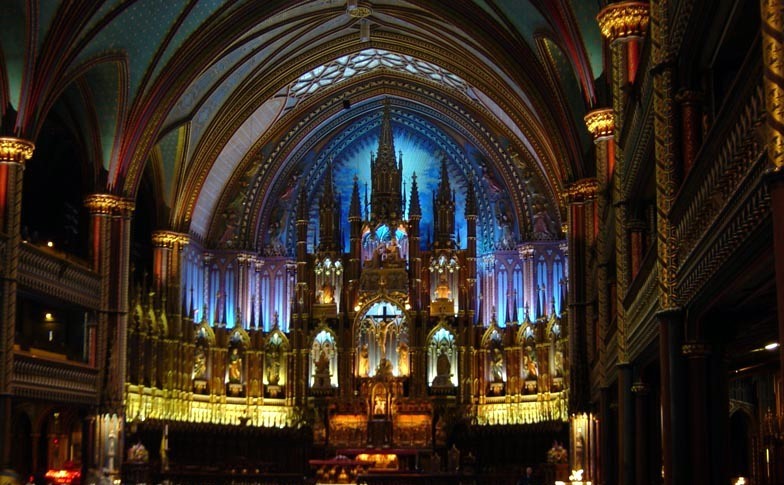 Naked and half frozen, Francis crawled to a neighboring monastery and there worked for a time as a scullion. 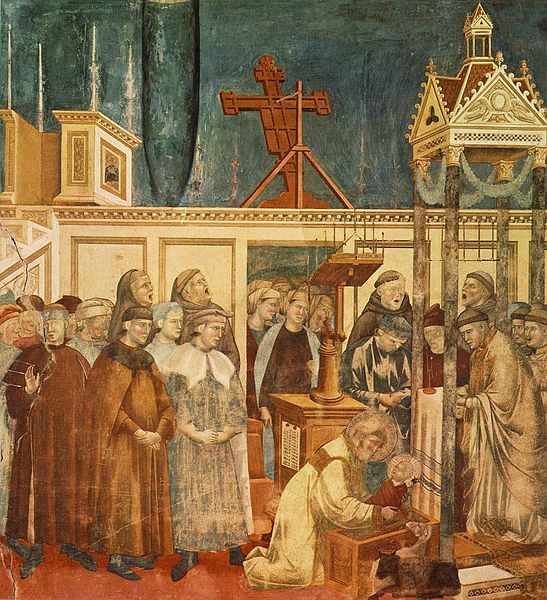 At Gubbio, whither he went next, Francis obtained from a friend the cloak, girdle, and staff of a pilgrim as an alms. 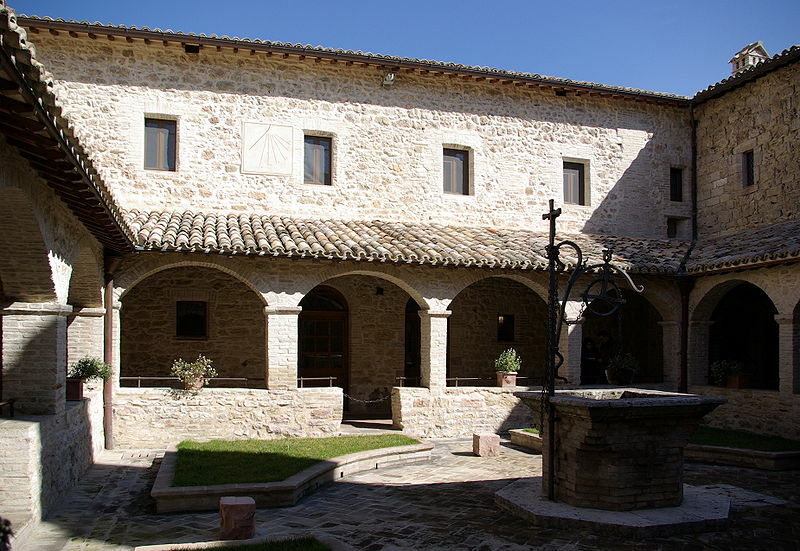 Returning to Assisi, he traversed the city begging stones for the restoration of St. Damian’s. These he carried to the old chapel, set in place himself, and so at length rebuilt it. In the same way Francis afterwards restored two other deserted chapels, St. Peter’s, some distance from the city, and St. Mary of the Angels, in the plain below it, at a spot called the Porziuncola. Meantime he redoubled his zeal in works of charity, more especially in nursing the lepers. "Go, Francis, and repair my house, which as you see is falling into ruin." 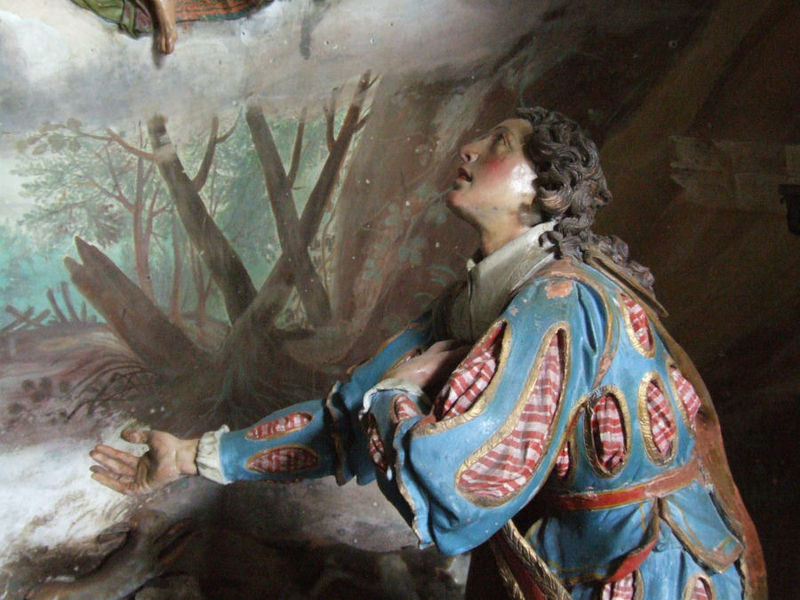 Crowds joyfully receive Saint Francis, as depicted at the Sacro Monte di Orta in Orta San Giulio, Piedmont. Frisian crusaders attack the tower of Damietta in a painting by Cornelis Claesz van Wieringen. 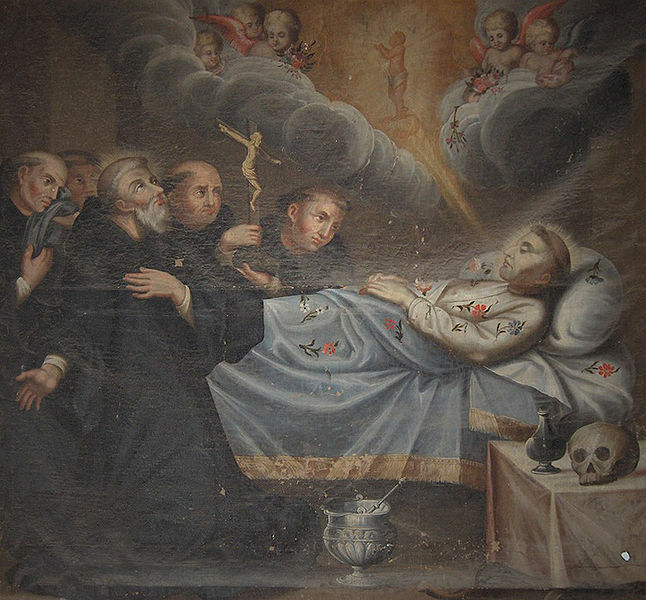 Death of St. Francis. - Évora, Portugal, Igreja de São Francisco. 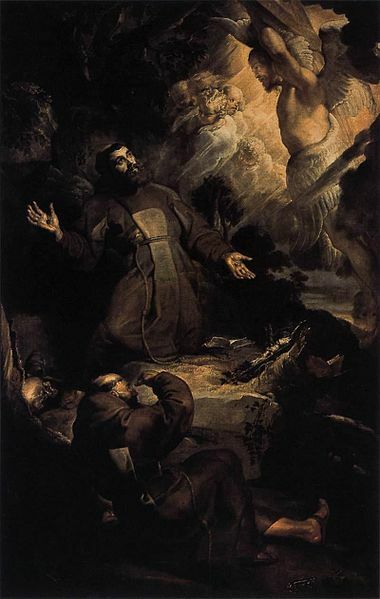 In the early autumn Francis, feeling the hand of death upon him, was carried to his beloved Porziuncola, that he might breathe his last sigh where his vocation had been revealed to him and whence his order had struggled into sight. 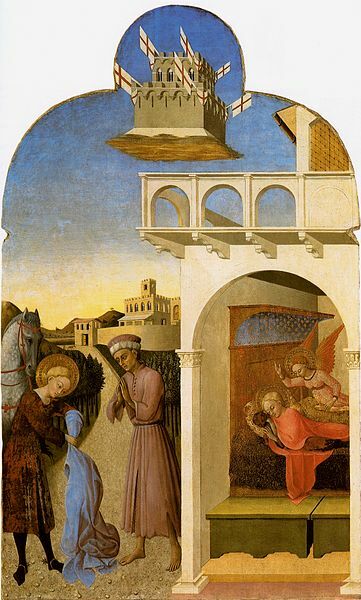 On the way thither he asked to be set down, and with painful effort he invoked a beautiful blessing on Assisi, which, however, his eyes could no longer discern. 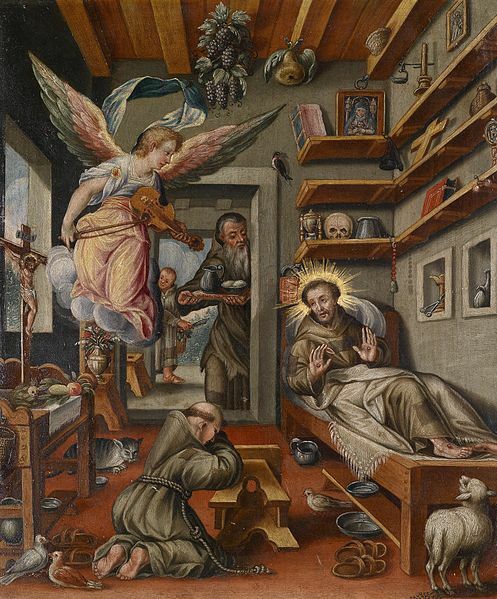 The saint’s last days were passed at the Porziuncola in a tiny hut, near the chapel, that served as an infirmary. The arrival there about this time of the Lady Jacoba of Settesoli, who had come with her two sons and a great retinue to bid Francis farewell, caused some consternation, since women were forbidden to enter the friary. But Francis in his tender gratitude to this Roman noblewoman, made an exception in her favor, and “Brother Jacoba”, as Francis had named her on account of her fortitude, remained to the last. On the eve of his death, the saint, in imitation of his Divine Master, had bread brought to him and broken. This he distributed among those present, blessing Bernard of Quintaville, his first companion, Elias, his vicar, and all the others in order. “I have done my part,” he said next, “may Christ teach you to do yours.” Then wishing to give a last token of detachment and to show he no longer had anything in common with the world, Francis removed his poor habit and lay down on the bare ground, covered with a borrowed cloth, rejoicing that he was able to keep faith with his Lady Poverty to the end. After a while he asked to have read to him the Passion according to St. John, and then in faltering tones he himself intoned Psalm cxli. 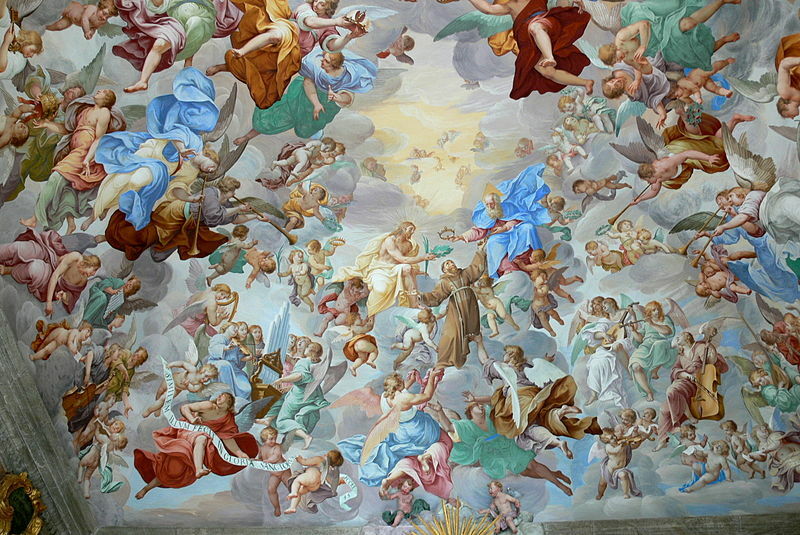 At the concluding verse, “Bring my soul out of prison”, Francis was led away from earth by “Sister Death”, in whose praise he had shortly before added a new strophe to his “Canticle of the Sun”. 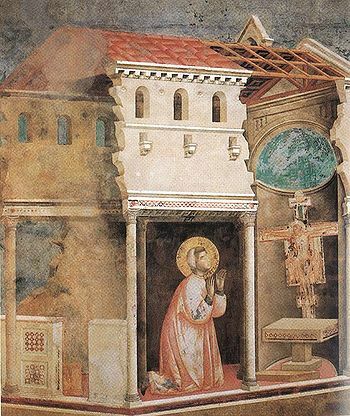 It was Saturday evening, 3 October, 1226, Francis being then in the forty-fifth year of his age, and the twentieth from his perfect conversion to Christ. 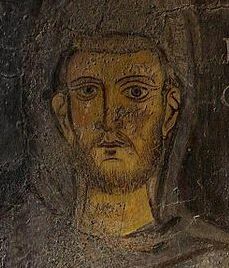 Fresco of St. Francis at Subiaco. Circa 1224. God inspired me, too, and still inspires me with such great faith in priests who live according to the laws of the holy Church of Rome, because of their dignity, that if they persecuted me, I should still be ready to turn to them for aid. And if I were as wise as Solomon and met the poorest priests of the world, I would still refuse to preach against their will in the parishes in which they live. I am determined to reverence, love and honor priests and all others as my superiors. I refuse to consider their sins, because I can see the Son of God in them and they are better than I. I do this because in this world I cannot see the most high Son of God with my own eyes, except for his most holy Body and Blood which they receive and they alone administer to others. "Above everything else, I want this most holy Sacrament to be honored and venerated and reserved in places which are richly ornamented." Above everything else, I want this most holy Sacrament to be honored and venerated and reserved in places which are richly ornamented. Whenever I find his most holy name or writings containing his words in an improper place, I make a point of picking them up, and I ask that they be picked up and put aside in a suitable place. We should honor and venerate theologians, too, and the ministers of God’s word, because it is they who give us spirit and life. "Occupy these places only as strangers and pilgrims"
In virtue of obedience, I strictly forbid the friars, wherever they may be, to petition the Roman Curia, either personally or through an intermediary, for a papal brief, whether it concerns a church or any other place, or even in order to preach, or because they are being persecuted. If they are not welcome somewhere, they should flee to another country where they can lead a life of penance, with God’s blessing. All the other friars, too, are bound to obey their guardians in the same way, and say the Office according to the Rule. 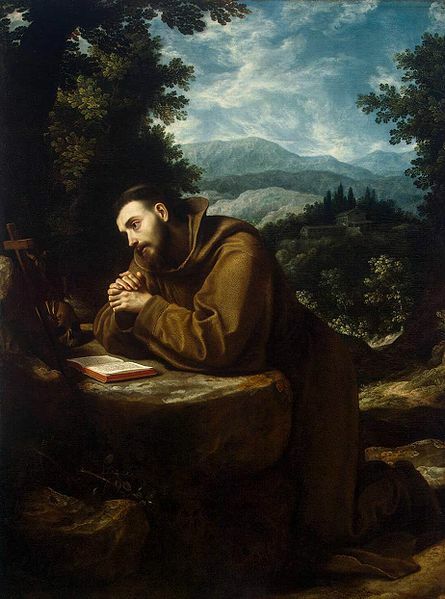 If any of them refuse to say the Office according to the Rule and want to change it, or if they are not true to the Catholic faith, the other friars are bound in virtue of obedience to bring them before the custos [Ed. 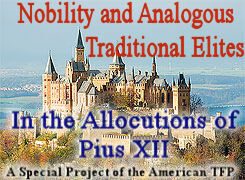 note: A superior in the Franciscan Order] nearest the place where they find them. 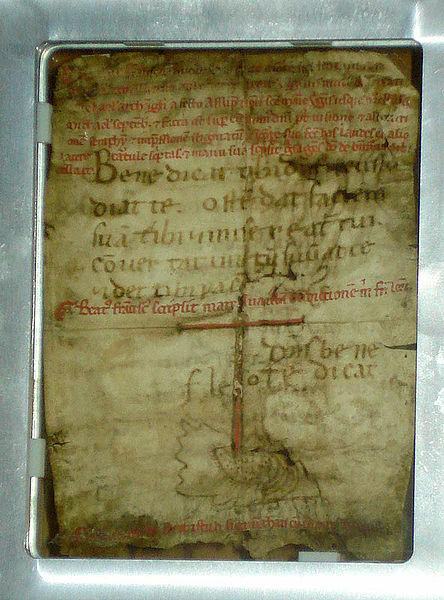 The custos must keep any such friar as a prisoner day and night so that he cannot escape from his hands until he personally hands him over to his minister. The minister, then, is strictly bound by obedience to place him in the care of friars who will guard him day and night like a prisoner until they present him before his lordship the Bishop of Ostia, who is the superior, protector, and corrector of the whole Order. 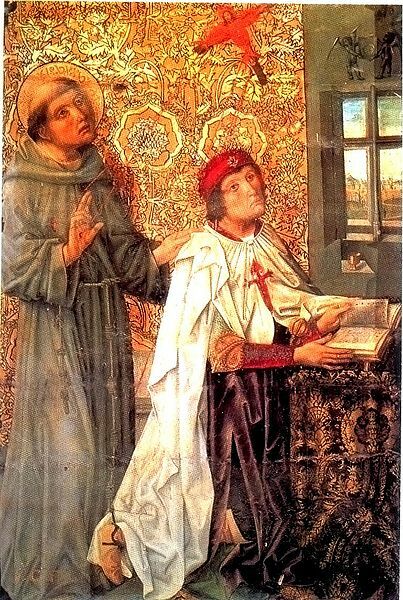 The Blessing of St. Francis of Assisi to Brother Leo, written on parchment four inches wide and fourteen long, is one of the three autographs that remain the Saint of Assisi.